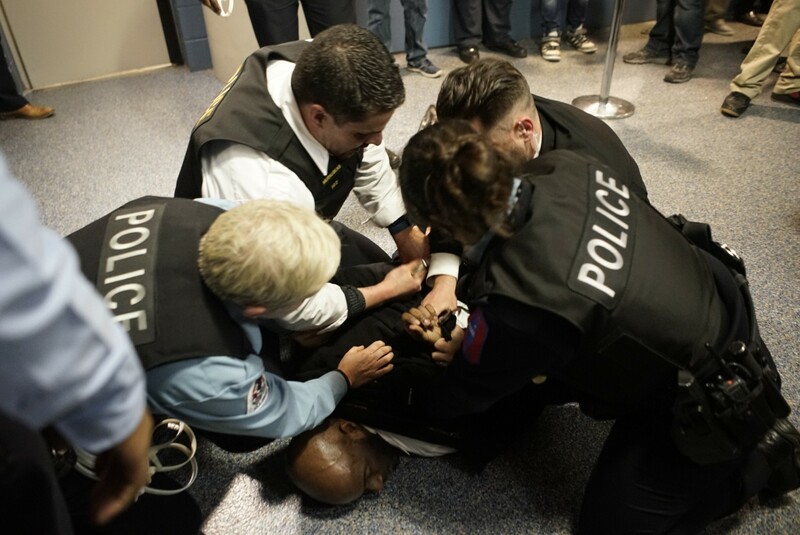 Four Chicago police officers take down a protester at the canceled Donald Trump rally Friday at UIC. Welcome to the Reader's morning briefing for Monday, March 14, 2016. Should the CTA have "quiet cars"?